Carl Franklin and Richard Morris interview Brenda Zorn, who's been eating keto since 2014, does intermittent fasting and extending fasting, and also lifts weights while fasted. She talks about the many disease markers that have disappeared since going keto, how this way of eating has helped her overcome depression, and how she has yet to reach a limit when lifting weights. She's a true inspiration! 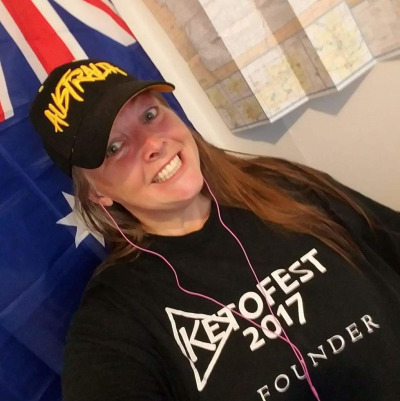 Brenda is also an admin in our Facebook group at fb.2keto.com, and runs her own private group, Keto Ninjas. Brenda ZornKetogenic since February of 2014, lost a total of 100 pounds on my journey, A1c 12 to 5, trigs 1200 to 90, eliminated hypertension, depression and nueropathy. I lift weights and have had phenomenal success doing so as my latest challenge I accomplished a lift of 800 lbs on the free weight leg press. I love to swim laps at my gym, and travel cross country on my dualsport motorcycle. I'm an excellent letogenic cook, and have hacked and invented recipes that have helped the keto community. My story has been published on Jason Fung's IDM site as well as The Diet Doctor. I currently am employed as an HHA and live in Minnesota. Recently doctor took my diagnosis of T2DM off my medical chart! I spend all my free time that I am off my bike, helping others with T2DM and obesity recover. I admin at the ketogenic forums, and run a monthly fasting support group there. I am a true evangelist of the ketogenic diet. I hand out cards every single day that have the 2KetoDudes podcast and the ketogenic forum web address on them, because I constantly talk about the miracle of this diet. Constantly. Lol. I have several people in my life now who are extremely grateful I brought keto and fasting to their attention. There is no greater reward than someone coming to me and thanking me for saving their life. Carl's Recipe: Shrimp Scampi Pizza!